Two-tone flutter ring. 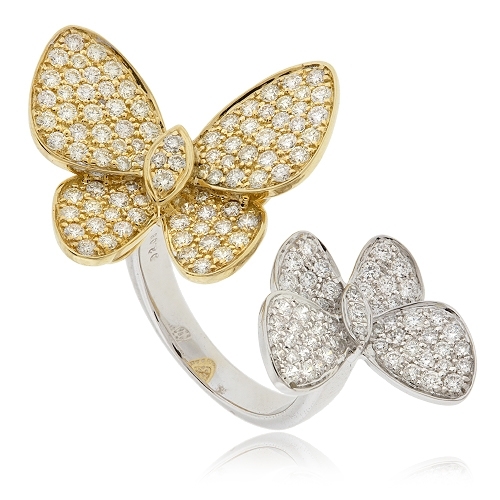 Delicate butterfly ring in 18k yellow and white gold all encrusted with pave set round white diamonds. Diamonds approx. 2.08 ct. Ring size 7.